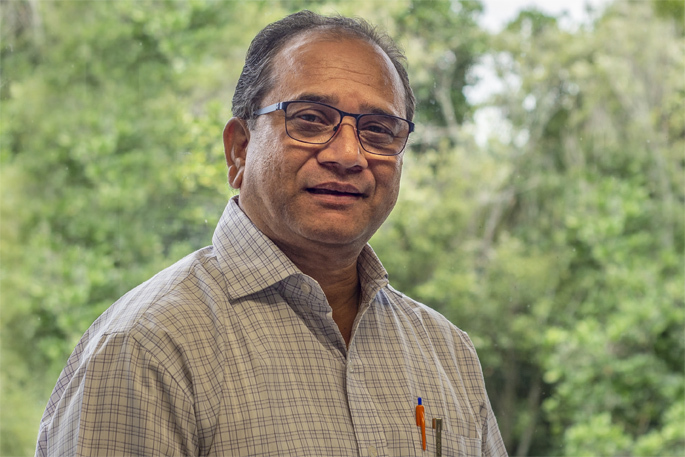 Waikato Regional Council’s sustainable agriculture advisor technical, Bala Tikkisetty, has an impressive list of letters after his name, and a huge passion for the sharing information he is so knowledgeable about. Bala was born and raised in Hyderabad, India. He studied for a BSc in Agriculture at the Andhra Pradesh Agricultural University in India. This was followed by a Masters in Agricultural Sciences and a Post Graduate Diploma in Plant Protection. He moved into the workforce and by 1994 held a senior position at the Department of Agriculture in his home state, Andhra Pradesh. And with India being the largest dairy producer in the world, he had first-hand experience and knowledge surrounding the impact of intensive farming on the environment. Eager for a change, Bala and his family moved to New Zealand in 1994, with his background and qualifications making him a valuable immigrant to the country. Initially. he worked at Victoria University in Wellington in a research programme for screening of pesticides. Then he spent about 10 years as a land sustainability officer at Southland Regional Council before coming to Waikato Regional Council in 2006. “In my current role I’d describe myself as a conduit between the researchers and what happens in the field,” says Bala. This involves ensuring he stays up-to-date with current research, then finding ways of passing this information through to the farming communities. “I liaise with industry bodies, such as Beef+Lamb NZ, DairyNZ, Deer NZ, Pork NZ, Fonterra, and the fertiliser and other farming industries. Armed with new information and facts, Bala is responsible for producing informative material to present to farmers at workshops and field days put on by Waikato Regional Council. Bala’s identifies soil erosion and debatable water quality as two of the main issues experienced by the Waikato region. “The sustenance of the world depends on farming and we must manage our ‘natural capital’ sustainably. During the years in this role, Bala has noticed the issues have been accepted by farmers and the majority are very committed to remedying problems.